A chronicle of my foray into the world of modular synthesis. SkyLab is what I call my modular synth rig(s). Check out my Modules pages for info about each module in my system. 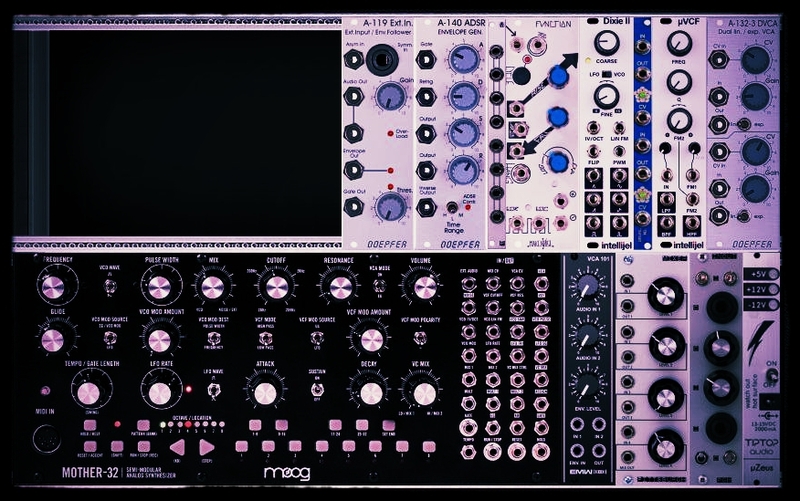 Get additional info on tons of synth modules at Modular Grid. This is the "Base" unit, mainly used for creating crazy sounds and compositions and such. This is the "Bass" unit, mainly for creating bass sounds with my bass guitar as a controller. 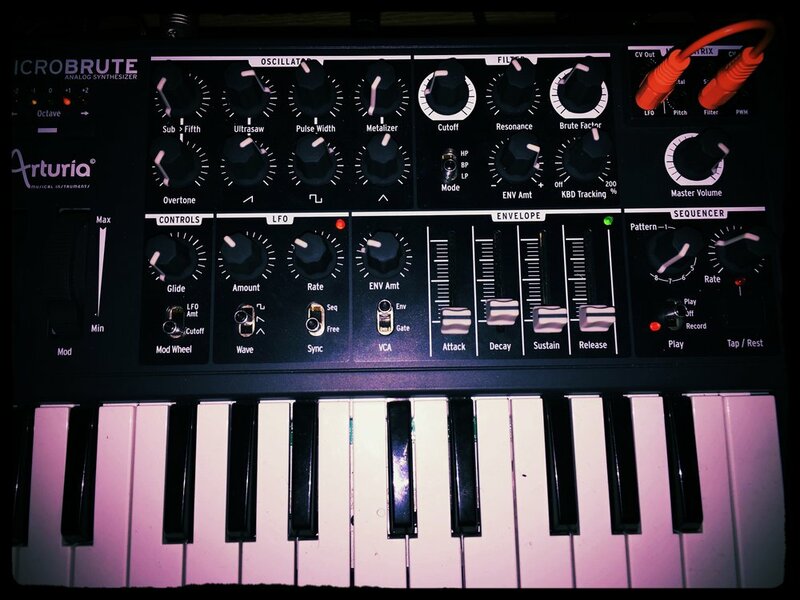 This tiny powerhouse of a synth increases the flexibility of my setup by adding a keyboard, another ocsillator, additional modulation with the LFO, ADSR envelope, mod wheel, pitch bend and sequencer. The MicroBrute can be used to control the SkyLab or SkyLab can control the MicroBrute by MIDI or CV. This one is kinda long, extra points if you can make it all the way to the end.